God came up with the idea of multiplication. If you give him your time, he multiplies it. If you give him your money, he multiplies it. If you give him your talent, he multiplies it. If you give him your energy, guess what? He multiplies it. It’s the same principle as planting seeds. Second Corinthians 9:10 says, “God gives seed to the farmer . . . God will also give you seed and multiply it. In your lives he will increase the things you do that have his approval” (GW). Think about that: God will increase the things you do that have his approval. Farmers know that seed must be given away for it to increase. If you keep seed in a sack, it doesn’t do any good. But when you plant it, it multiplies. When you plant one corn seed, do you just get one corn seed back? No, you get a stalk with hundreds of corn kernels. When you plant one watermelon seed, do you only get one seed back? No, you get a bunch of watermelons with hundreds of seeds in them. God multiplies whatever little bit you give him. “Remember that the person who plants few seeds will have a small crop. But the one who plants many seeds will have a large crop. God loves the person who gives cheerfully” (2 Corinthians 9:6-7 AP) That’s because God gives cheerfully and he wants us to be like him. The story of Saddleback Church cannot be told without telling of the thousands of people who sacrificed financially to make the church possible. Our campus with all of its buildings didn’t just happen. Somebody sacrificed for them. People chose to give their money instead of buying things for themselves—just to make it happen. 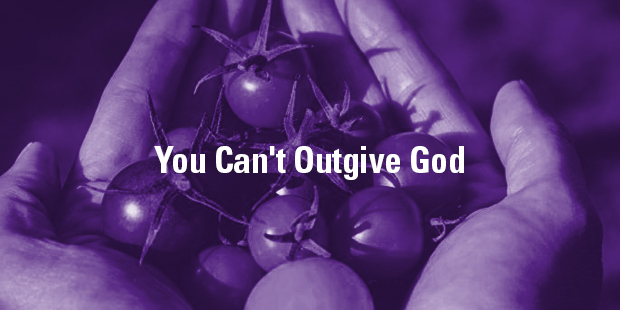 One of the great lessons that Kay and I have learned over our years of ministry is that you cannot outgive God. Whatever you give him, he takes and multiplies. This was a lesson we learned on a personal level. Three different times in our marriage God told us to give away our entire savings. Each time we obeyed, God would replenish it in greater ways than ever before. Before that day was out we received a letter from a man who’d only visited Saddleback one time. He didn’t even live in Orange County. His note said, “I believe in the vision of Saddleback Church.” And in that letter was a check for a quarter-million dollars. We were able to close the deal and get the land. God’s timing is perfect. That was the last business day of 1987. The first business day of 1988 that man—who was a banker—went to the bank and his trustees called a special meeting. They didn’t know he’d just given us a quarter-million dollars. They called him in and said, “We’ve had a record year with banner profits. We’re going to give you a one-time bonus.” And 10 days after he’d given this church a quarter-million dollars, they gave him a one-time bonus of $750,000. The Bible promises, “You won’t regret it. No one who has sacrificed his home, spouse, brothers and sisters, parents, children – whatever – will lose out. It will all come back multiplied many times over in your lifetime. And then the bonus of eternal life!” (Luke 18:29-30 The Message). That’s a promise of Jesus Christ directly from his lips. “Always give yourself fully to the work of the Lord because you know that your labor in the Lord is not in vain” (1 Corinthians 15:58 NIV). 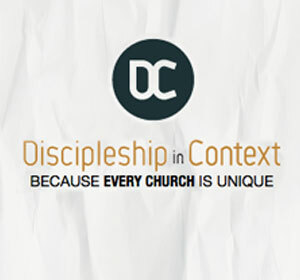 Connect with an Auxano Navigator to learn more about creating a Generosity Culture for your church.